These are the mugshots of William West and William West, and they are not related. 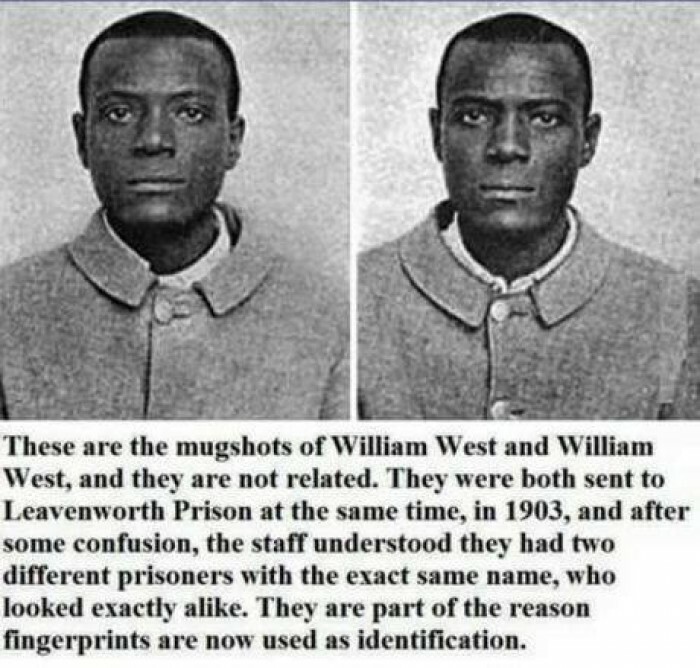 They were both sent to Leavenworth Prison at the same time, in 1903, and after some confusion, the staff understood they had two different prisoners with the exact same name, who looked exactly alike. They are part of the reason fingerprints are now used as identification.